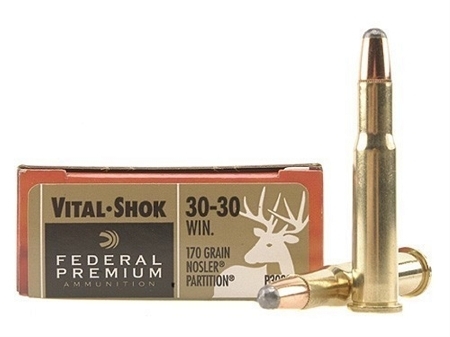 Quality hunting ammunition designed for maximum performance and reliability. Nosler Partition bullets ensure deep penetration and deadly stopping power as the top half of the copper partitioned bullet mushrooms and the bottom remains fully intact. Premium hunting bullets are matched with select powders, primers and brass to create a reliable, hard-hitting hunting cartridge. This ammunition is new production, non-corrosive, in boxer primed, reloadable cases.